Midnight Special’s advance poster beautifully represents the movie (other) world on offer. The unearthly glow shining out from behind the central duo promises something from the realm of science fiction. But the figure dominating the heart of the image is an ordinary guy protectively cradling his child. Jeff Nichols’ latest inventively blends the two genres: that of awe-inspiring sci-fi fantasy and touching family melodrama. The emotional impact of childcare on the adult is a thread running through his films. An impact impossible to prepare for. Previous work Mud (2012) explored the bond between a wanted man and two young lads who stumble upon his hideout. While here, Nichols is reunited with the lead from his earlier, brooding Take Shelter (2011), in which a man goes to extraordinary lengths to protect his kin from an impending storm only he can sense is coming. Appropriately, considering the title, many early scenes are thoroughly underlit. Even in the near pitch black of the cinema, much detail is barely discernible. It, of course, helps to keep us quite literally in the dark about what condition affects the troubled soul at the epicentre of events. But you can’t help wonder if such unremittingly low lighting might be a hindrance in the home viewing market. As Roy, father of the afflicted progeny, Michael Shannon’s screen charisma is effortlessly captivating. The tortuous weight of responsibility he carries for his offspring radiates from the screen, despite his minimal dialogue. Jaeden Lieberher capitalises on the potential displayed in St. Vincent (2014), his innocent shoulders maturely supporting an astronomical burden. Shannon’s natural gravitas is balanced by the ambiguous fascination of Adam Driver’s national security agent. His speech inevitably recalls the phantom menace of Kylo Ren from the opposite end of the sci-fi spectrum: Star Wars: The Force Awakens (2015). So the conceit established in the opening act is of earth-shaking significance. And yet we are dropped into the heart of a tight interpersonal drama. Joel Edgerton is efficiently devoted and determined. As Lucas, friend enlisted to help Roy and his boy flee the authorities, he keeps his consternation under wraps, relentlessly driving himself to keep on going. Keep on doing whatever is necessary. Mum Sarah (Kirsten Dunst) struggles to cope with the turmoil unfolding around her kid. But the inner core of this moving picture is the gravitational pull of the paternal relationship. The oppositional orbits of the celestial bodies of a Dad …and his sun. We are left to make sense of the situation for ourselves, assembling its enormity piece by piece as the hunt for the renegades grows. Gripped by the bond that unites them, the chase is consistently engaging. Despite the fantastical set-up, the style is flatly matter-of-fact. And it’s this defiant tone of non-explanation that is the key to the incredible premise achieving credibility. From the beginning we crave answers. This is a film that has the courage to only partially answer them. And why should it? Its events are, ultimately, unexplainable. 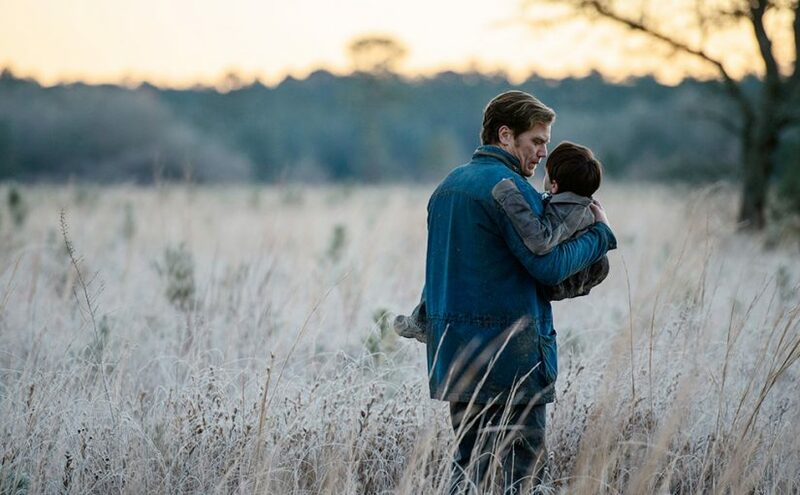 By exaggerating a child’s uniqueness to a preternatural level, Midnight Special is an eloquent study of the irreversible effect of fatherhood. It thus makes a fitting companion piece with Interstellar (2014). Christopher Nolan’s space/time continuum stretched the father-daughter bond to the furthest reaches of space. Both films utilise intergalactic setups to draw intimate portraits of parenthood. Yet each is comprised of a very different constellation. This primarily emotive tale also carries echoes of Close Encounters of the Third Kind (1977), The Abyss (1989) and Village of The Damned (1960). All are in Midnight Special’s astral DNA. But this is a much more personal offering. By charting a prodigious, extraterrestrial tale, Nichols’ message succeeds in being distinctly heartfelt. Human. A tale of the unexpectedly affecting.